Rely on your memory and understanding of the board to create a queue of actions that will hopefully complete the level. Experience the joy of uncovering a solution, and then demonstrate your mastery by finding the most efficient paths. 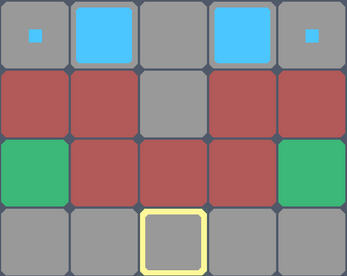 The only objective is to move all the large blue tiles to the small blue tiles. Use the arrow keys and spacebar to build a list of moves and interactions. 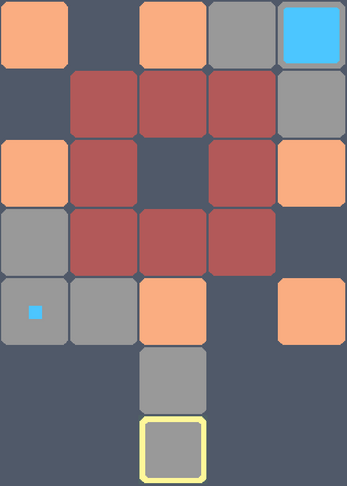 Once you hit enter, the player will step through and perform each action in the queue. Keep your eye out for different tiles. Each color has its own behavior and can either help you reach your goal or keep you from continuing. For Windows, there is an installer that will ensure you have all the dependencies you need. In addition to the installer, there is a downloadable zip file that contains an executable. Either of them should work, it will just come down to your preference. For MacOS, there is a known issue that forces users to download the zip file, extract it, then simply move the executable to a different location on your machine. After relocating, the game should run. Please reach out if you have any issues. The current state of this game is extremely basic. 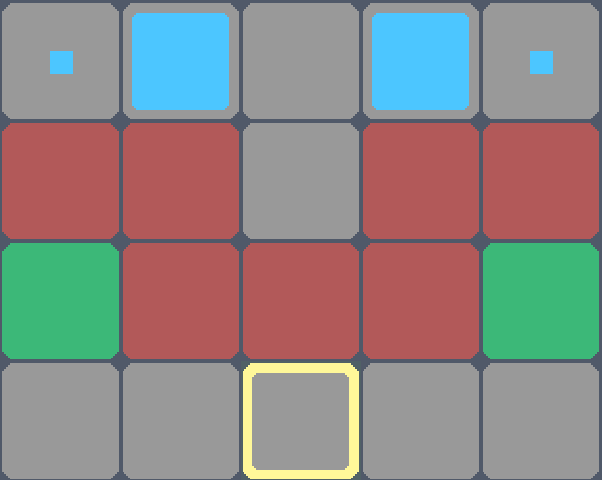 I wanted to release a handful of levels as quickly as possible to ensure development of this game is on the right path. I would greatly appreciate any feedback on improvements or expansions that could be made. I encourage you to either leave a comment or reach out to me at thebuffed@gmail.com. I hope that someone will enjoy the game as much as I have! 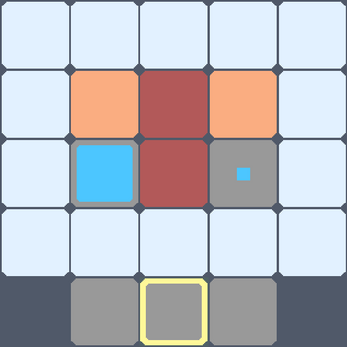 i played it but i found a bug: every new level screen was shifted and i can't move camera with wsad. how can i reset everything? Thank you for pointing it out! You can only move the camera when you are zoomed in, but I think I may actually know the issue with the "shifting" of the levels. Also if a level can't be seen, you can go to level select with esc and skip it. Also I figured that the learning curve was pretty steep, I definitely intend to add in more to help players get started. Thank you so much for your feedback. I will release a fix for the bug you mentioned today. I have pushed a fix! If you get a chance to play again, let me know what you think. Thanks so much for your previous comment!